I’m at that point where I’ve had enough and I’m so fed up I just can’t be bothered. It will get done, but not until tomorrow. Now, I may love Christmas, but I don’t love busy shops. We went to the supermarket yesterday and it was awful. It was so busy you could barely move and there were loads of people ambling round like we all have all day to do our shopping, when in actual fact we don’t. Then there are the noisy amblers, who amble randomly down aisles they don’t need and then speak really loudly about the products, picking them up then telling everybody within ear shot some story about the particular products, basically getting in the way… JUST MOVE, I need some Marmite and I don’t want to stand there looking and feeling it for 10 hours! So yes, I’m incredibly festive and love Christmas, but only at home. I can’t wait to go and buy our Christmas tree on the 15th. No point in buying it now as it will be half dead and just a few stalks by Christmas day. I love decorating the tree, it feels properly like Christmas when the tree is up, we got some new decorations in the sales last year so I’m excited to finally use them! Since it’s nearly Christmas I decided to make Gingerbread Cupcakes because it’s not Christmas without Gingerbread OK? 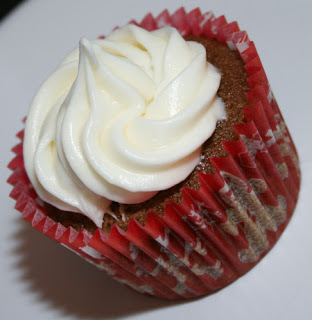 These turned out beautifully, a richly spiced dense cake with a smooth cream cheese frosting. Yum is the only work I can use to sum them up. > Preheat the oven to 180 degrees C and line your cupcake tray. > Place the flour and all the spices in a medium sized bowl and stir together until combined. > Add in the eggs and vanilla and then mix until well combined. > Add in the flour mix. > Starting on a low speed, fold in the flour, then turn the mixer up to medium-high and mix until well incorporated and smooth. > Split the batter between the cupcakes cases, about 3/4 full. 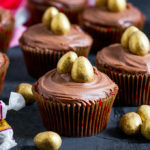 > Take out of the cupcake tray as soon as possible to stop the liners peeling away from the cakes and transfer to a wire rack to cool completely. > Once cooled, make the frosting. This makes enough frosting to pipe the 12 cupcakes. > Place the butter and cream cheese in a large bowl and cream together until light and fluffy about 2 minutes. 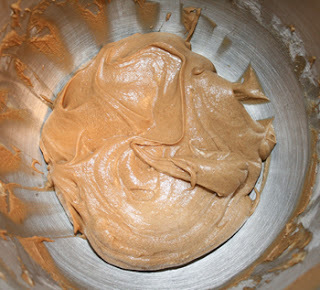 > Add in the sifted icing sugar and then mix until incorporated, start on a slow speed to avoid the icing sugar cloud! > Will keep in an airtight container in the fridge for up to 3 days. 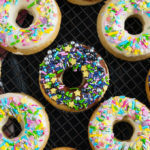 These look and sound delicious. Thank you for sharing. 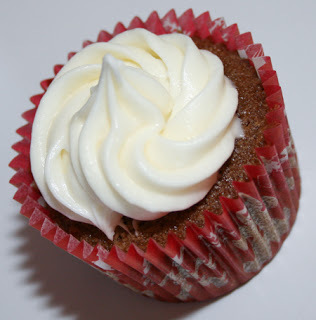 Gingerbread cupcakes sound fantastic, pinning this! 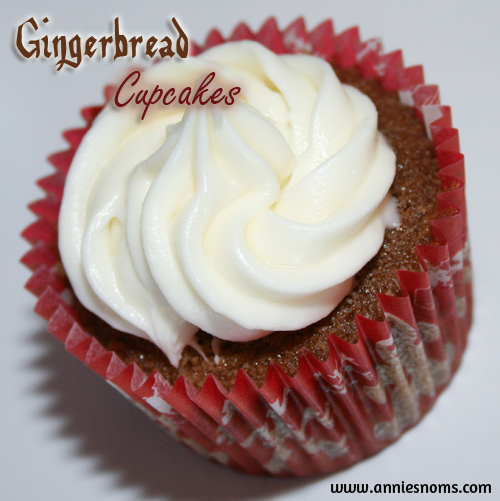 I've been planning to make gingerbread cupcakes for ages – you're so right, it's not Christmas without gingerbread! 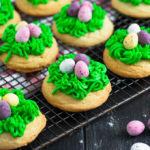 These look really delicious. Brilliant idea 🙂 I'd never made them before, but definitely will again! 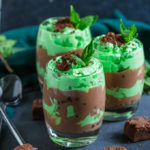 These look so amazing!!! Pinned and making ASAP!!! First off let me say, as soon as I read Marmite, I knew you were English! Hello there across the pond. I have some good friends in Australia and one of them sent me some Vegemite! I will say, it is not my favorite! I love the way you describe your kitchen. I can almost smell it! This recipe looks so good. 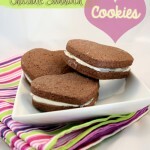 We love gingerbread in our house and I will have to give these a try. Thank you for linking up to Foodie Friends Friday. I hope you will bring another wonderful recipe next week. Thanks very much 🙂 Enjoy! Haha I love my marmite! 🙂 I love gingerbread, but this was the first time I'd ever made it, but it was so delicious, homemade is so much better than shop bought! Those sound so yummy! What a fun treat! Thanks so much for sharing at Thursday's Temptation. 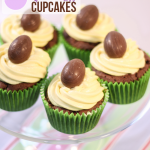 I am going to be featuring your cupcakes tonight on my blog! Good share of such great things. Will come to visit again.